We printed a "Home, Family, Blessing" wall graphic for a customer. Here's a photo after they applied it to their living room wall. 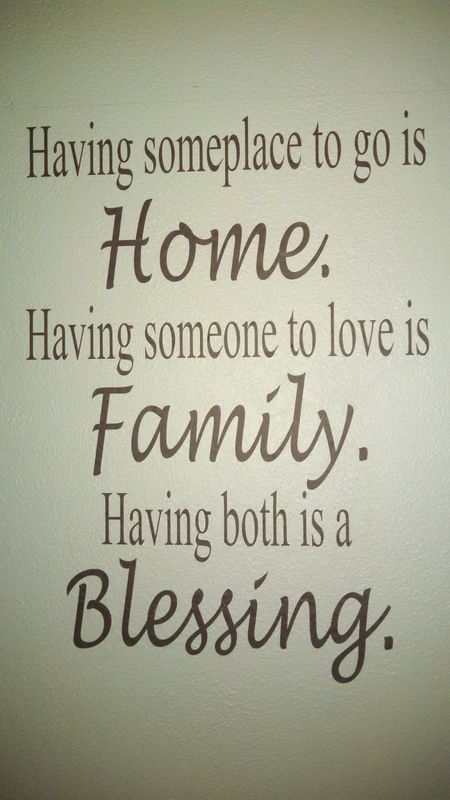 If you would like a similar wall graphic, visit our "Home, Family, Blessing" printed wall graphic web page. We have a stock item that you can order in a variety of sizes and colors.